We've gathered the fragments of emotion, forming an album that hides the spontaneity of a miracle in a sea of chaos. From the third Nitroplus CHiRAL brand release production, "sweet pool" - the original soundtrack that combines the unique world setting, themes, and rich sounds has been released! 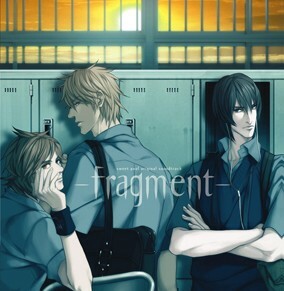 Entitled "- fragment -," the album contains 15 BGM songs featured in the game. Noisy tracks such as "chills," "strain," and "calm" vividly invoke the emotional backdrop of various scenes. In addition to the ambitious opening theme track "I'm in blue," performed by mystery artist "Pale Green," the album also includes 5 different tracks with vocals utilizing the ending theme. Featuring fan favorites such as "Ito Kanako" and "Watanabe Kazuhiro," as well as "Pale Green" and "Ken 1," so many artists have put forth their incredible talent. And on top of that, it also includes a violin version of "Miracles may," by ZIZZ STUDIO's Tei Sena, for a line up that exceeds the framework of the original game soundtrack.